I read lots of stuff. From academic papers to the sort of shiny thriller that airport bookstalls specialise in, if it contains words I’m usually willing to give it a shot. Sometimes I read to gain knowledge, sometimes for pleasure and sometimes because it’s a reliable way to pass the time on long journeys. Usually I find reading to be extremely enjoyable and relaxing. Just occasionally, however, I read something that’s so stunningly, balls-out stupid that the words reach out into my head and flip the big red switch marked “Rage”. So, with that, let’s meet Jacqueline Lee of the University of California, Riverside. Over the past decade, the electronic cigarette industry in the United States grew from a cottage enterprise to a $3.7 billion juggernaut in 2015, according to ECigIntelligence – a UK-based organization focused, as its web site says, on tracking regulatory changes and market intelligence for the e-cigarette and tobacco-alternatives sector. 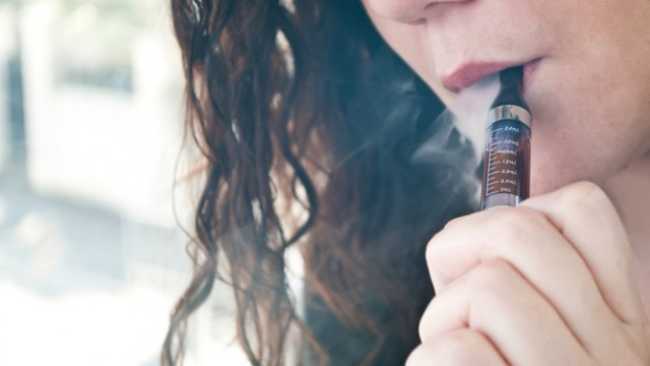 On Aug. 8, the FDA rolled out what it calls its “Deeming Regulations,” a laundry list of edicts that all players in the industry must abide by in order to stay in business – impacting things like labeling of e-liquids, sampling, modification of vaping devices, age verification and more. The vaping industry is fighting off a crippling 40 percent tax on their shops that is responsible for eliminating one-third of electronic cigarette businesses in Pennsylvania. The Pennsylvania Vape Association organized an opposition rally Monday morning in the state capitol building in demonstration against the onerous tax and to petition lawmakers to lower it to a more financially reasonable figure. Close to one hundred e-cigarette shops have closed since the tax took effect Oct. 1 after securing passage in the summer. The tax applies retroactively to all vape businesses in the state, which is proving fatal for many, reports Pocono Record. Despite weighty reports from Public Health England, Royal College of Physicians, from Eire the Health Information and Quality Authority, from the US Truth Initiative and recently from Canada University of Victoria and News articles such as this in the Guardian it is my contention that the battle for hearts and minds(of the general public) is losing ground quickly. ASH UK estimated the following in 2016 here with the disturbing analysis of only 15% of the adult population believing that e-cigarettes are a lot less harmful than smoking. There’s a major flaw in the study conclusion. And once you’re aware of it, you’ll realize that the study is really trying to pull the wool over the eyes of the public. The best way I can demonstrate the trick the study is playing is through an analogy. Suppose we are interested in whether the acquisition of Al Horford led to a decline in the performance of the Boston Celtics. Controlling for a number of psychosocial variables that might affect the Celtics’ performance, we find no change in the record of the Celtics from before to after Horford joined the team (this is a hypothetical example because I think they’re actually playing better this year). He left out one key detail: He may end up running the place. Gulfo, who may be the first person in political history to serve as a senior fellow at both the left-leaning Progressive Policy Institute and the conservative Mercatus Center at George Mason University, has discussed the job of FDA commissioner with at least two transition team officials and some of their outside advisers. Gulfo, 53, declined to comment on his candidacy, but his vast archive of publications makes his positions clear. In one article last month, he listed several priorities for Trump’s next FDA commissioner. Are e-cigarettes are creating a brand new generation of cigarette smokers? Snus is a moist, smokeless powdered tobacco. It is sold as a loose powder or pre-packaged in a small sachet (a bit like a mini tea bag). It contains ground tobacco, salt and may contain food-grade smoke aroma flavourings, such as citrus, bergamot, juniper, herb or floral flavours. Most Scandinavian snus is produced in Sweden where it is regulated as food under the Swedish Food Act. The nicotine content varies among brands.